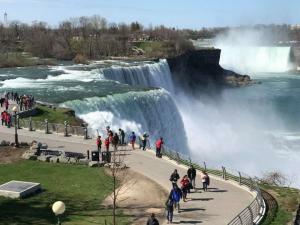 We are heading to Niagara Falls, Canada for 4 days and 3 nights, staying at the Sheraton on the Falls! This 4 star hotel is located on the corner of Falls Avenue and Clifton Hill, right in the heart of all the attractions and connected indoors to Casino Niagara. 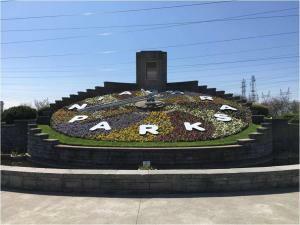 From arrival to departure, spend your time in Niagara Falls sightseeing, shopping, dining, gambling, relaxing and having your very own adventure… this trip is all about doing what YOU want during our time there. We have no planned itinerary for the full two days you will be in Canada! 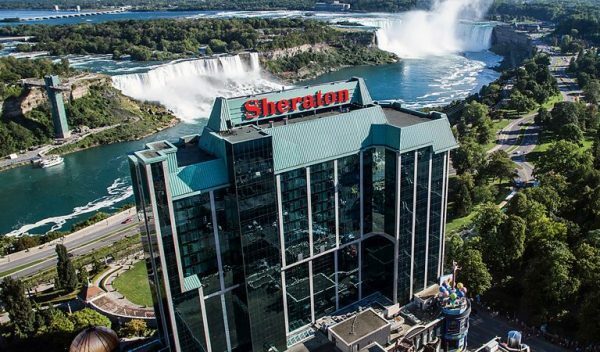 Start your day with an included buffet breakfast located in the Fallsview Buffet, which boasts a panoramic view of Niagara Falls from all tables. After breakfast, the possibilities are endless and completely up to you. Important: A passport is required to enter into Canada. Per regulations, your passport must be valid through November 13th, 2019 (passport cannot expire within 6 months of trips return). All passports must be brought to Foxy Travel before final payment due date to prove validity. Any guest who forgets their passport at home will not be able to cross into Canada and will be on own to make new accommodations on the U.S. side! 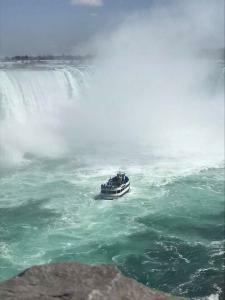 Pictures below were taken and submitted by guests whom attended our Niagara Falls trip in May 2018!